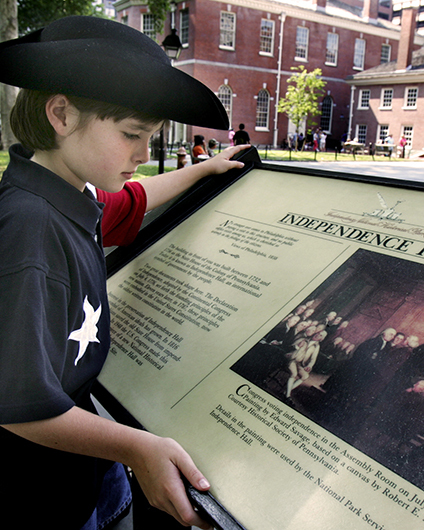 Americans celebrate the 1776 Declaration of Independence with parades, speeches, concerts and fireworks. 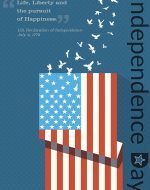 Celebrations of U.S. independence range from somber events studded with patriotic speeches to America-themed concerts, picnics, sporting events and fireworks. Each July 4, thousands of immigrants take an oath of allegiance and become U.S. citizens. What makes the U.S. government uniquely American? Learn about the separation of powers and the institutions and practices that constitute U.S. democracy. The structure of the U.S. government is defined by the Constitution, but the ways in which institutions and officials meet the requirements of the Constitution are open to interpretation. Beginning in the 1950s, the U.S. Department of State sent dozens of America’s greatest jazz musicians to tour the globe becoming known as "the Jazz Ambassadors.” Recognizing the cross-cultural appeal of jazz, American Jazz Ambassadors were able to transcend national boundaries, build new cultural bridges, and tell a larger story about freedom in America.